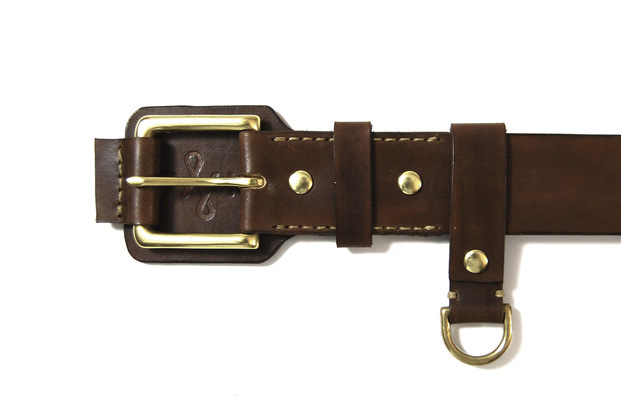 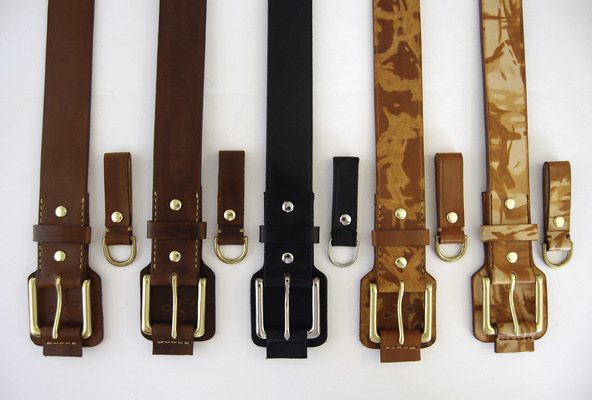 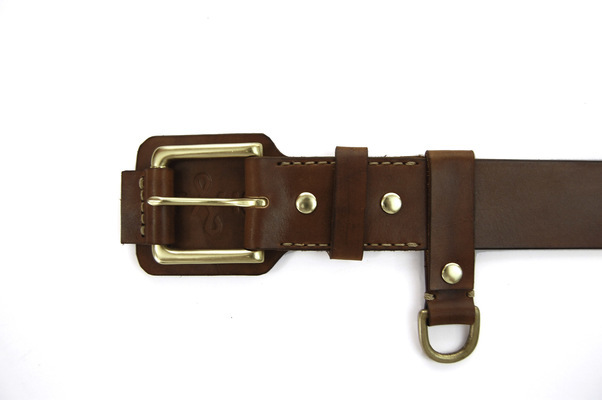 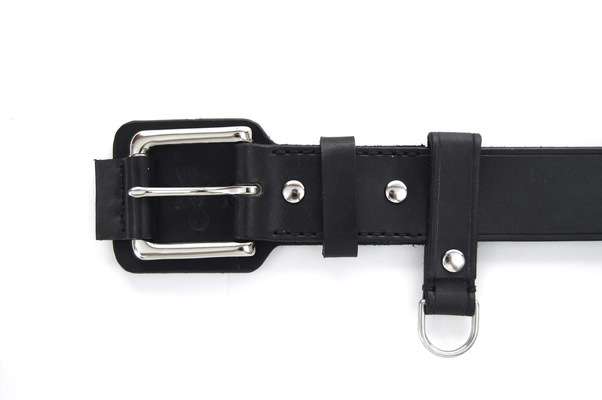 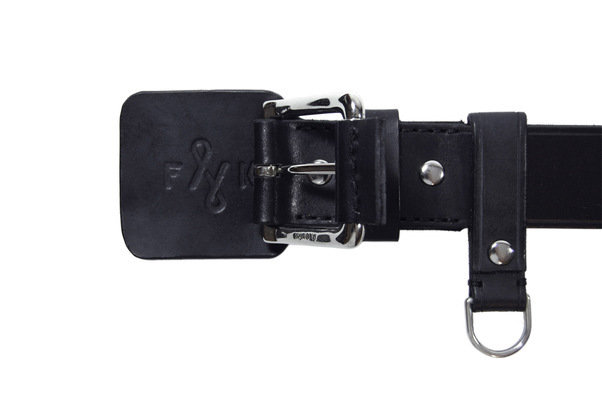 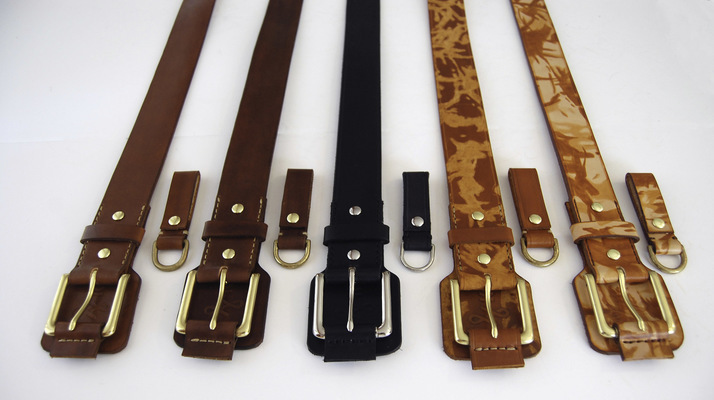 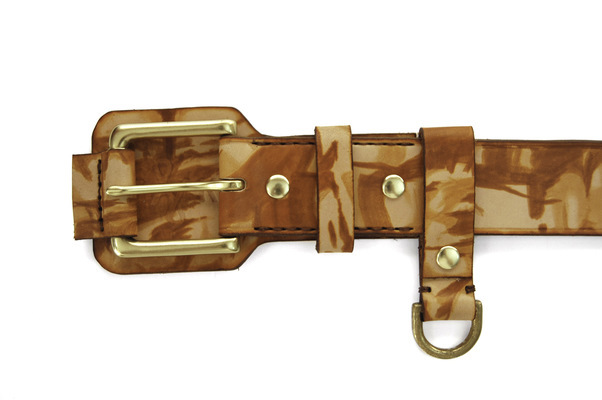 “Mullet” Belts with detachable D-rings. 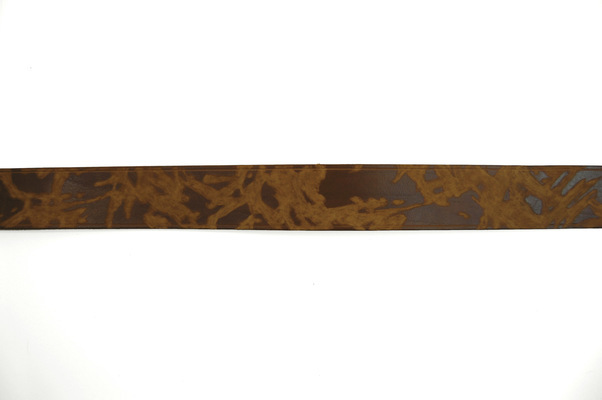 Split Oak leaf hide strips hand dyed and panted. 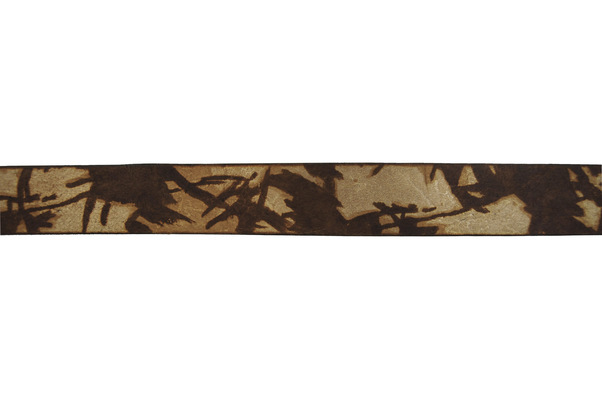 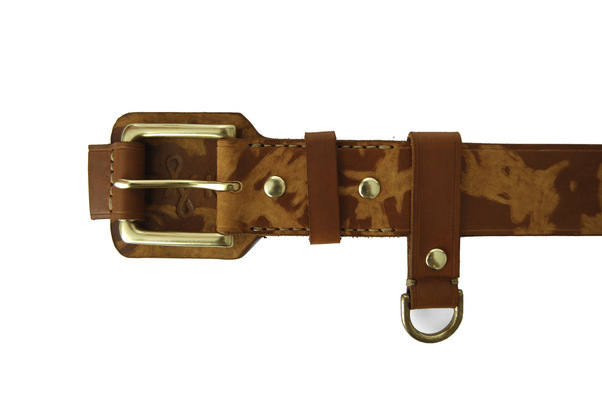 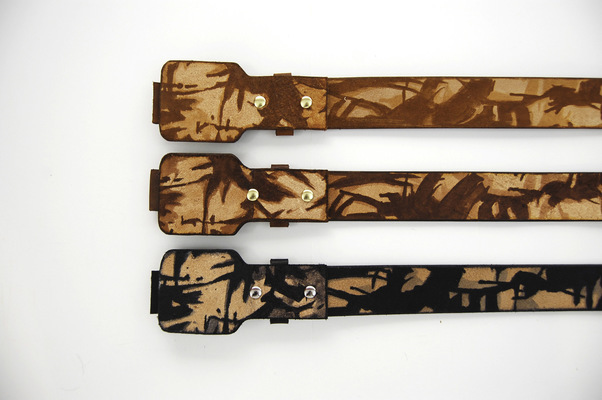 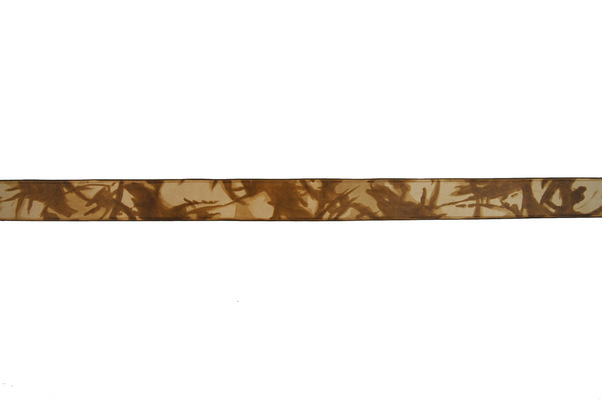 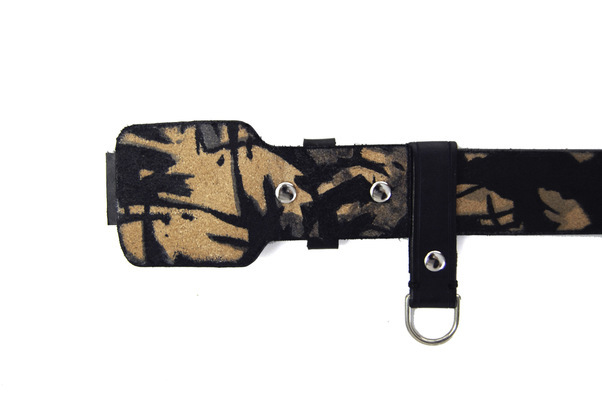 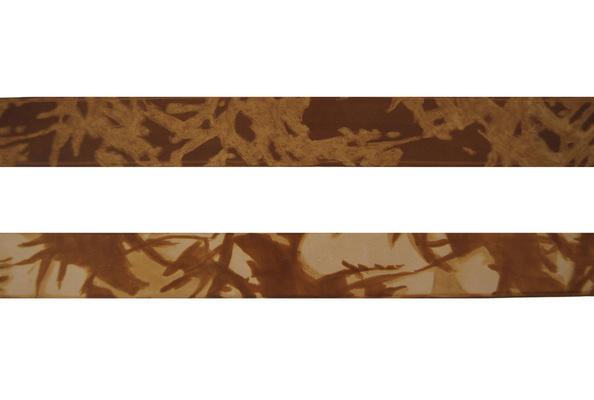 Belt backs hand painted camouflage . 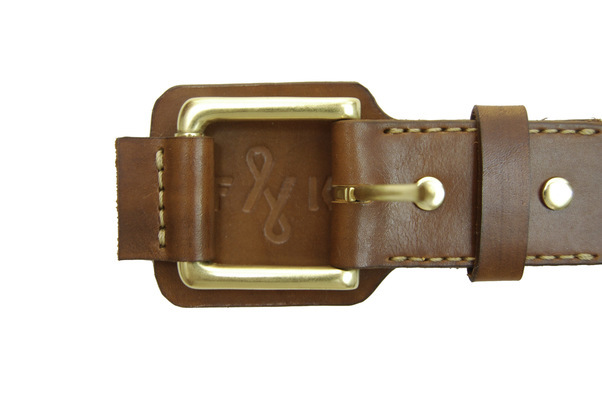 Light Brown with embossed F&K logo. 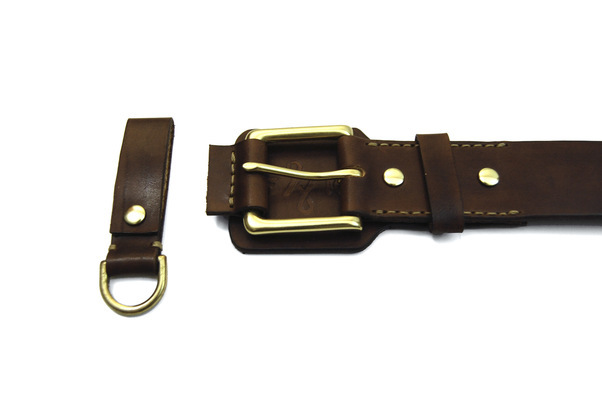 Dk Brown with detached D-ring. 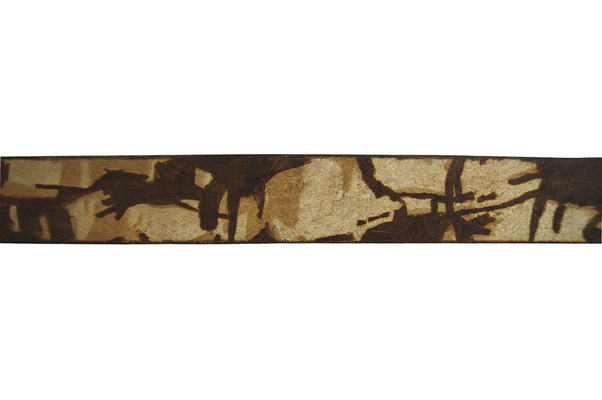 Dk Brown Back Hand painted pattern. 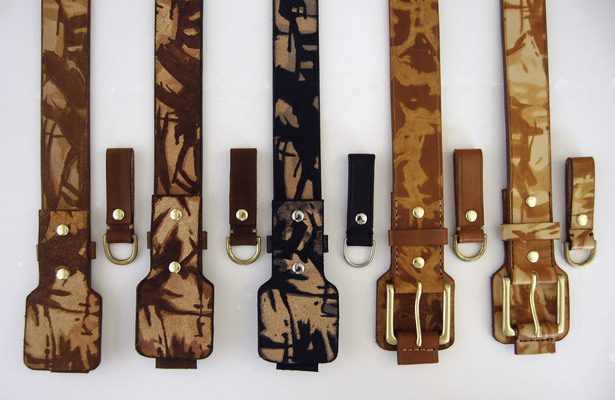 interior of belt has hand dyed pattern painted in. 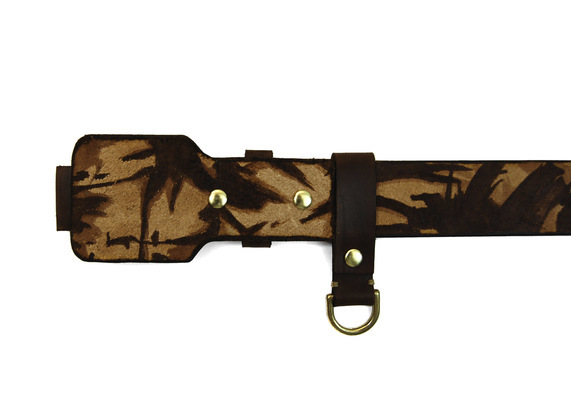 Hand painted with a saddle tan on top on an oak leaf shoulder. 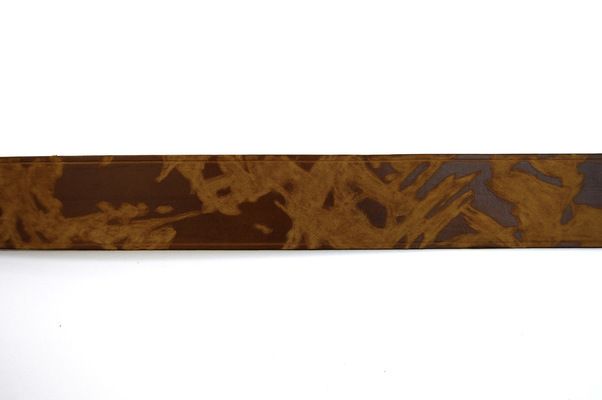 Hand dyed saddle tanned and dremeled into a Swede pattern finish.